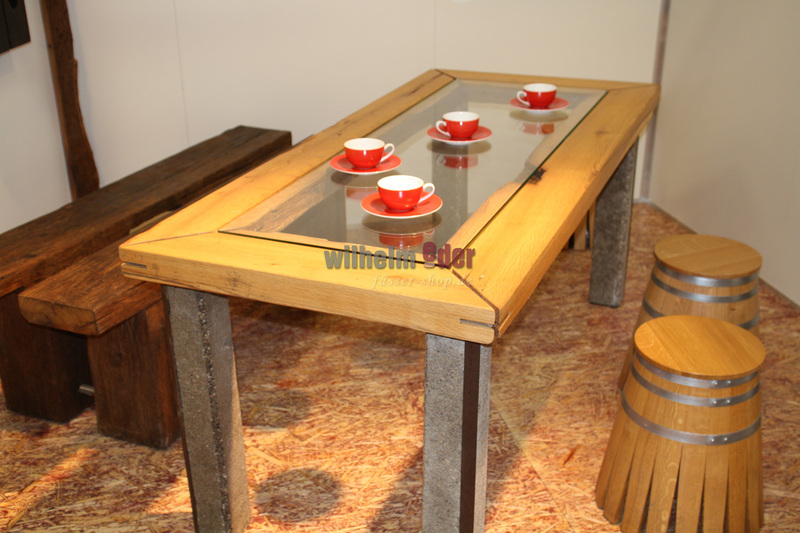 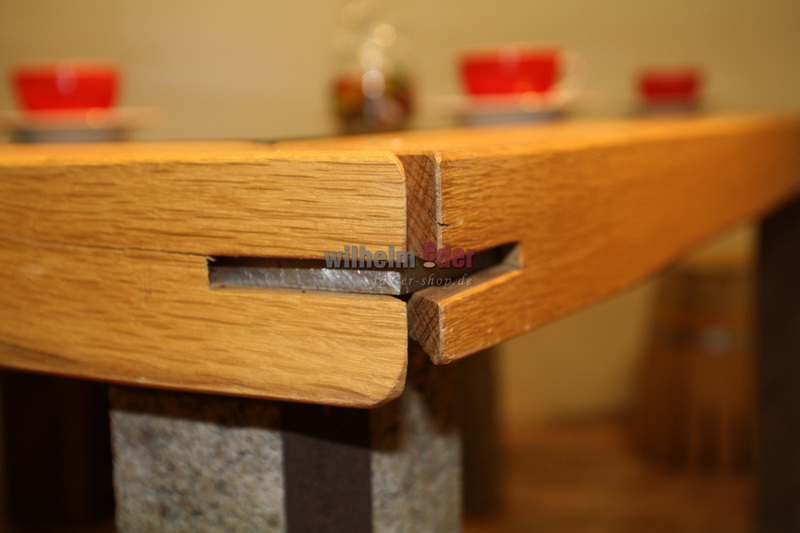 Product information "FassStolz® table with glass plate"
The FassStolz® table consists of oak timbers which are fixed with metal plates on foots made of concrete. 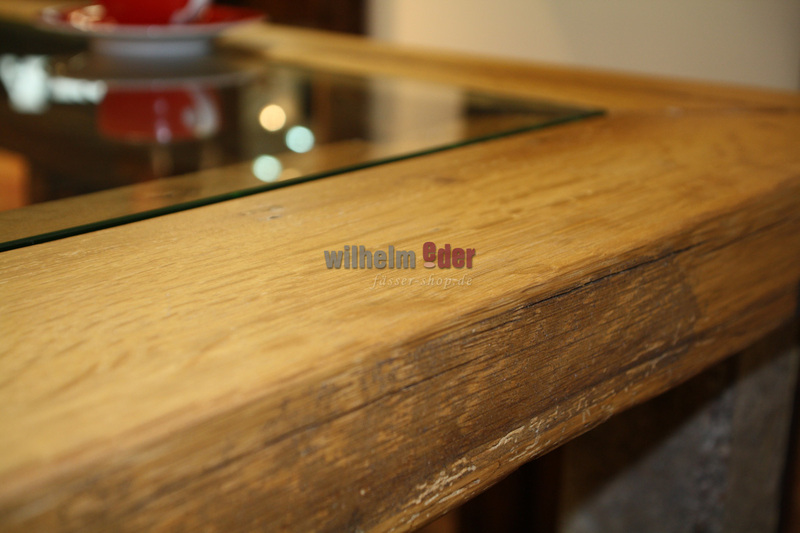 In the middle we have an opening in which we placed a glass plate. 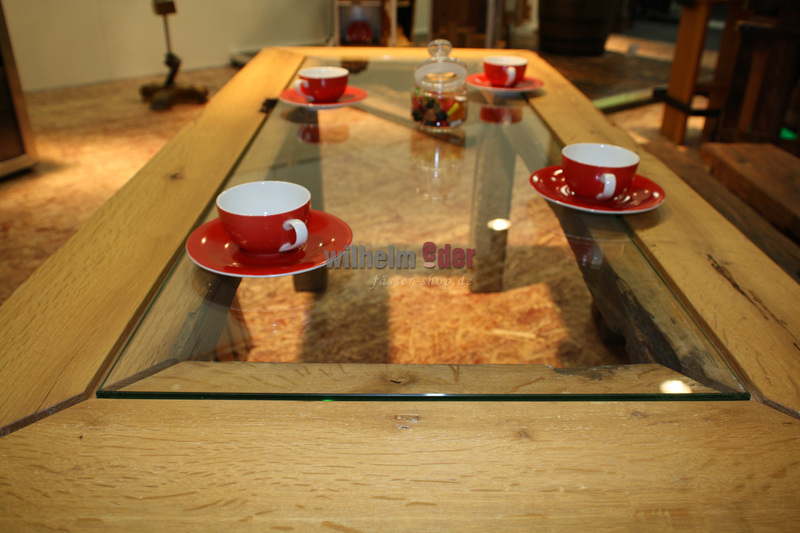 The table is an optical Highlight for your dinner room or restaurant.